Erika Records can press all your traditional vinyl records in any size from 2î to 12î with 13î vinyl records coming soon. 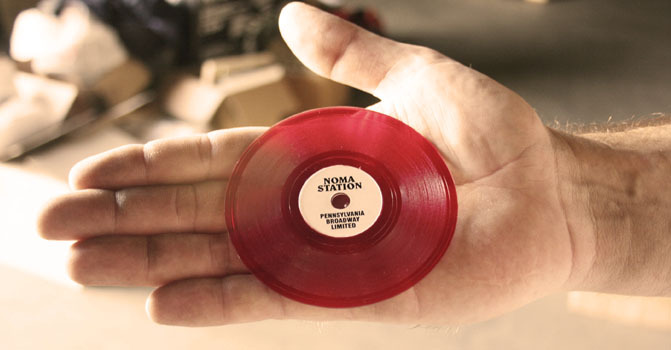 At Erika Records there is no standard conception of what your vinyl record should look like. 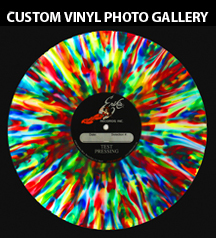 We specialize in different size vinyl records and odd size vinyl records. No longer is the standard 7î vinyl record or 12î vinyl record your only option. We offer 2 inch vinyl records, 3 inch vinyl records, 4 inch vinyl records, 5 inch vinyl records, 6 inch vinyl records, 8 inch vinyl records, 9 inch vinyl records, 10 inch vinyl records and 11 inch vinyl records. And nothing says they need to be black vinyl, your colored vinyl choices are unlimited. "Three records in three months during the summer seemed impossible for us, but it was no problem for Erika Records..."
"Hey, just wanted to tell you how freakin' AMAZING the 7"s look and how much we truly appreciate ALL that you did for us, really"
Copyright @2010, Erika Records Inc.. All Rights Reserved.